FNANO has applied for $12,000 from NSF for travel support (providing approx. $200/student) for US undergraduate and graduate students that are presenting posters or talks. ANNUAL PRIZE AWARDS: The Nanoscience Prize recognizes life-long achievements by a researcher working in any area of nanoscience. Also, the Robert Dirks Molecular Programming Prize recognizes exceptional early-career achievement by a researcher working in any area of molecular programming. The winners of these prizes will be awarded during an evening session of the upcoming FNANO19 conference and be invited to give prize lectures at FNANO19. SUBMISSIONS: Extended DEADLINE: February 20, 2019. To submit, upload on the FNANO submission websiteby February 20, 2019an abstract of one to two pages in PDF format (submission website to be opened January 5, 2019). Even if your talk is invited, you still need to submit an abstract by this date. Acceptance/Rejection DECISIONS: by March 1, 2019. REGISTRATION: Registation Website. Early Registration Deadline: March 15, 2019. Also: Workshop for Early-Career Nanoscientists (Chaired by Philip Lukeman) Sunday April 14th, from 1-5pm in the Maybird room in the lobby of the Cliff Lodge (see below for details). CONFERENCE VENUE: The Conference Venue is the Snowbird Cliff Lodge, Snowbird, Utah. Website for booking Snowbird Hotel Rooms with Reduced Rates: Snowbird Hotel Accomodations. CUT-OFF DATE for Snowbird Hotel Room Reduced Rates: March 21, 2019. 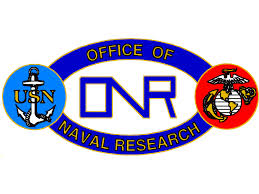 NSF, ARMY Research Office, ONR, and AFSOR. Workshop for Early-Career Nanoscientists (Chaired by Philip Lukeman) Sunday April 14th, from 1-5pm in the Maybird room in the lobby of the Cliff Lodge: This mini-conference will enable early-career scientists to come together in a highly-stimulating and non-intimidating environment to discuss their current research, receive feedback on their presentation skills and build informal networks with their peers. If you are an advanced undergrad, graduate student, or postdoc coming to FNANO19 please consider coming to this session to network and practice your presentation skills. If you are a PI who is bringing an advanced undergrad, student or postdoc to FNANO, consider sending them to this session. In addition to the NSF funding that is mentioned on the website, we have up to $340 per FNANO-X attendee to help support either FNANO conference registration (mandatory!) or accommodation costs at Snowbird. Attendance will be limited, and prospective attendees will be required to submit an abstract of their proposed 15-minute research presentation - which should be aimed at scientists who are not deeply familiar with their work. Eligible topics are ones that cover the same scientific breadth as the parent conference (FNANO). (Note: people who give posters can ALSO talk in the miniconference!) If you are interested in applying please send a maximum 200-word abstract to Phil Lukeman (lukemanp@stjohns.edu) by March 24th along with talk title, participant name and affiliation. Applicants will be notified by March 29th.